Stop stressing over your keto diet and get the meal plans you need to achieve your weight loss goals. You can forgo the long, frustrating process of trying to figure out what you’re going to cook, how many carbs per meal and how it works with your macros. It’s never been easier to eat on keto, and for a limited time, you can try it completely free. You know the benefits of getting and staying in keto . . . Following a keto lifestyle has been showing, time and again, to be more effective at bringing about long-term weight loss, with a host of health benefits to match, than low fat diets. This is true even when the low fat dieters consume fewer calories than the people who are on a keto diet. The reality is, however, that many people fail on their keto diets. The are unable to get into keto and, even if they, do, many cannot stay there for very long. Research has identified two key areas of difficulty . . . Unless you are able to solve these two issues, you are never going to achieve long-term success on your keto journey. If you’re going to eat all day long and still keep your carbs low enough to remain in keto, you need to plan out what’s going to go in your mouth. There’s no such thing as wanting it on a keto diet. 65-70% of your calories to come from fat, 25-30% from protein and 5% from carbs? Sure, you could just exist of eggs, beef, and chicken. There’s plenty of good lean protein in there, with hardly any carbs. But where are the healthy fats? And do you really want to spend the rest of your life eating the same old same old? More than likely after a couple of weeks, you’ll get so bored that you’ll probably fall off the low carb bandwagon. The key to success on the keto diet is to make the whole process as simple as possible, while still having plenty of options and variety. 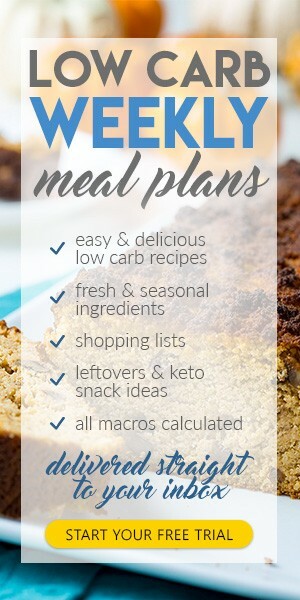 Low Carb Weekly Meal Plans sends hand-selected, high quality recipes to your inbox every week, compete with done for you calorie and macronutrient breakdowns and easy to read recipe lists. Right now you can get all of this totally free with a FREE TRIAL . The weekly meal plans that you receive from Low Carb Weekly Meal Plans takes away all the stress you need to follow and stick to a low carb lifestyle. This is a realistic, affordable and completely doable way to stay on keto for the rest of your life. You get the exact calorie and macronutrient breakdown for effective and easy weight loss tracking. You’ll never have to worry about your carb counts ever again. That because the Low Carb Weekly Meal Plan guys have done all the calculations for you. 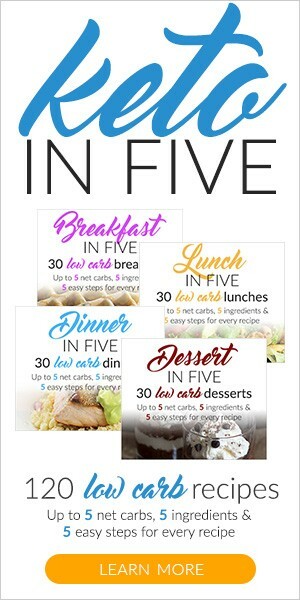 You will never run out of recipes when you sign on with Low Carb Weekly Meal Plans. That means that you will always have an assortment of savory, delicious meals and treats to choose from. No more wondering what to eat, cravings or temptations to slide off the wagon! Think you can get all of this from a traditional keto cookbook. But these books often leave you overwhelmed with recipes and actually makes it harder to start. The Low Carb Weekly Meal Plan guys are different. They provide you with a handful of the most effective easy-to-make recipes right off the bat. Preheat the oven to 350°F and grease a loaf pan. Combine the almond flour, coconut flour, sugar-free sweetener, baking powder, pumpkin pie spice, and salt in a bowl and whisk well. In a food processor, combine the pumpkin, butter, heavy cream, and eggs then blend smooth. Whisk the wet ingredients into the dry mix then fold in the walnuts. Pour the batter into the pan and bake for 55 to 65 minutes until a knife inserted in the center comes out clean. Turn off the oven and let the loaf cool for 15 minutes. Remove the loaf and turn it out onto a wire rack to cool completely then cut into 12 slices. Preheat oven to 350°F. Beat the eggs for 1 – 2 minutes with an electric hand mixer on high speed. Add coconut oil and melted butter (let it cool a bit so that you don’t cook the eggs) to the eggs and continue beating. Add the remaining bread ingredients. Note: the batter will become quite thick. Pour the batter into a loaf pan lined with parchment paper. Bake for 45 minutes or once a skewer comes out of the middle clean. Once you’re ready to make the rest of the recipe, set 2 slices of the low carb bread to toast to your desired crispiness. Cut an avocado in half lengthwise and remove the pit. Peel the avocado shell away carefully. Laying the avocado halves flat side down, begin slicing it thinly until the whole avocado is sliced. Working with one avocado half at a time, gently push the slices, fanning them out into one long strips of overlapping slices. Then, roll the strip into a spiral until the whole thing comes into the shape of a round rose. Add some silicone cupcake liners to a muffin tin and preheat your oven to 350°F. Take your flaxseeds and grind them for about a second in a blender You don’t want it to blend for too long as the flaxseeds contain oil and your “flour” may become damp. Combine all the dry ingredients and stir to evenly disperse. Then add your pumpkin puree and mix to combine. Add the pumpkin spice and vanilla extracts. Here you can also choose to add maple extract (about 1/2 tsp), sugar free maple syrup or the real thing if you’re okay with the carb count a little higher. Add in an egg, coconut oil, and apple cider vinegar and mix very well. In this step, you can add in any fold ins you like- nuts work wonderfully here but we wanted this recipe purely pumpkin maple. Add a heaping tablespoon of batter to each muffin liner and top with some pumpkin seeds. Be aware that the muffins will rise a bit. Bake for about 20 minutes.You should see the tops of the muffins brown slightly. Let them cool a bit and enjoy with butter or more maple syrup! Whisk together the egg whites, water and coconut flour in a mixing bowl. Add the baking powder, garlic powder, and salt then whisk well. Heat a medium-sized skillet over low heat. When the pan is hot, spray with cooking spray. Spoon 1⁄4 cup of batter into the hot skillet and tilt to spread it. Cook for 2 to 3 minutes until the underside has browned. Carefully flip and cook for 1 minute or until browned on the bottom. Remove the tortilla to a plate and repeat with the remaining batter. Makes 6 tortillas. Beat the cream cheese in a bowl until light and fluffy. Add the chives and lemon juice and beat until just combined. Lay the tortillas out flat and divide the cream cheese mixture evenly over half of each. Fold the tortillas over into half-moon shapes. Heat 1 teaspoon oil in a medium skillet over medium-high heat. Add a tortilla to the skillet and cook until browned on one side. Carefully flip the tortilla and cook until browned underneath then remove to a plate. Reheat the skillet with another teaspoon of oil and repeat with the remaining tortillas. Vicky and Rami have been devoted to helping people to transition to the keto diet for years. They cofounded Tasteaholics.com and TryLowCarb.com to provide people with delicious, easier and accessible low carb eating options. They were fed up with all the myths and industry nonsense surround the topic of keto eating. Vicky and Rami are the authors of the very popular Keto in Five cookbook series. They have helped thousands of people achieve their weight loss goals in healthy sustainable ways. Try their meal plans AT NO RISK – if they don’t have you loving your keto diet, just cancel at any point during your trial and you won’t get charged a cent. And they’re not going to hassle you if you do side to cancel. Canceling takes just a click in the dashboard! No emails or phone calls necessary. I like the variety and not having too spend hours on the internet looking for recipes with the macros that I might like. Very easy to stay on point, love that I don't have to make up a shopping list too. How Much Does Low Carb Weekly Meal Plans Cost? Low Carb Weekly Meal Plans Pros . . .
Low Carb Weekly Meal Plans is a great little service that will make it so much easier to get into and stay in keto. We highly recommend it. Go try it out by taking their 7-day free trial today!